Driving through outer Melbourne this week, my granddaughter and I noticed many Wattle trees in bloom. Wattles range in colour from creamy yellow to the bright gold of our national floral emblem with flowers ranging from sprays of fluffy balls to little rods. They all add a cheery note to a cold day. 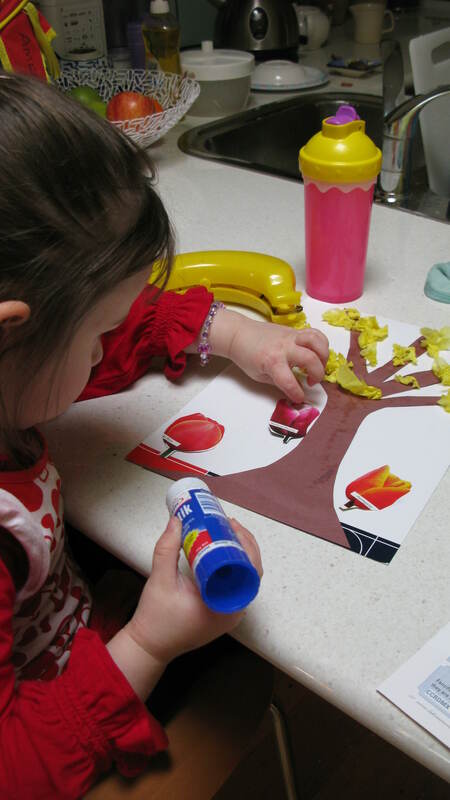 On returning home we decided to make our own wattle tree using cut and paste with coloured paper.